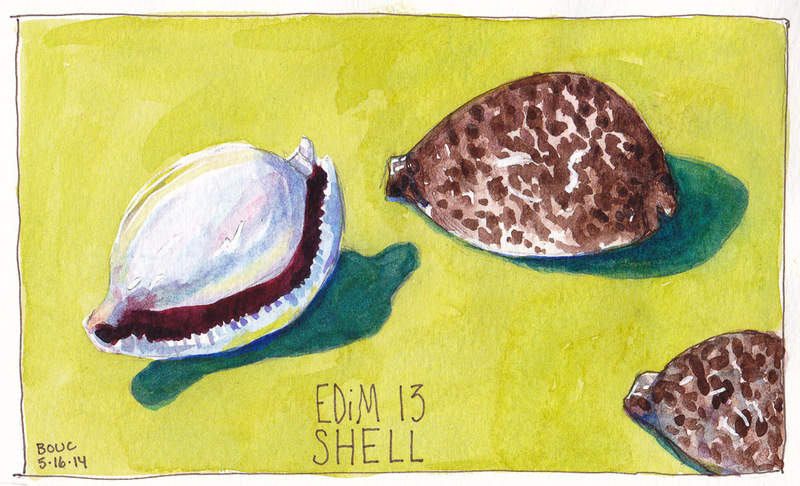 When I was a kid I had a little shell collection and my favorites were Cowrie shells (though I misheard the name and thought they were called Molly shells. I still get confused and have to look them up. They feel so nice to hold, with their smooth, shiny surface and egg-like shape. The term “porcelain” derives from the old Italian term for the cowrie shell (porcellana) due to their similar translucent appearance. Shells of certain species have historically been used as currency: The Ghanaian cedi was named after cowry shells and starting over three thousand years ago, cowry shells were used as currency in China and India. The Classical Chinese character for money (貝) originated as a stylized drawing of a Maldivian cowrie shell. Cowry shells are used in sacred Objibway ceremonies and the Whiteshell Provincial Park in Manitoba, Canada is named after cowries. Cowry shells are also worn as jewelry or otherwise used as ornaments or charms and are viewed as symbols of womanhood, fertility, birth and wealth.